This website is build by fans of the platform. Not IQ Option. 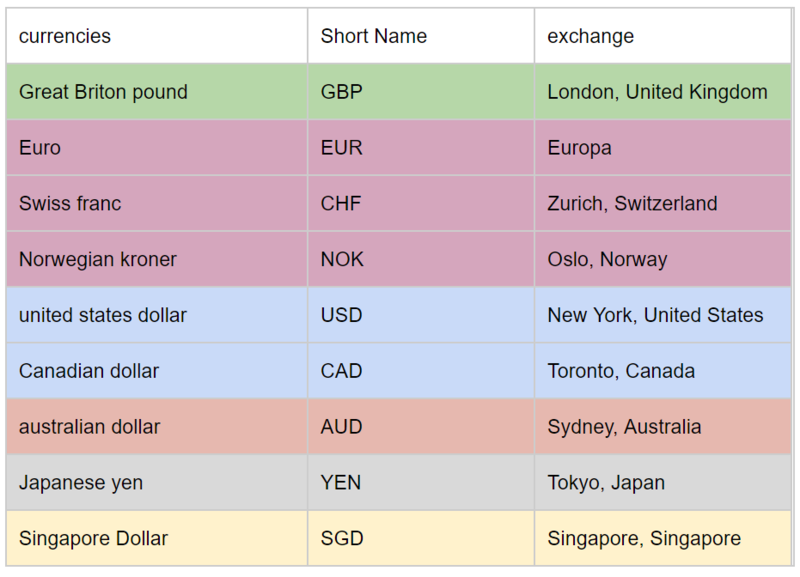 When is the best time to trade a particular currency pair in the forex markets? This is a question many new traders ask. And it’s a good question given that the currency pair available at a given time largely depends on whether a particular markets session is open. For example, the USD/EUR currency pair can only be traded when both the New York and Europa markets are open. You’ll therefore need to know when exactly a particular session is open relative to your time zone. That’s what this guide is about. IQ Option provides over 80 different currency pairs to trade in. However, for purposes of this guide, I’ll focus on 9 different currencies. These correspond to the 6 different market sessions in the world.Take a look at the table below. When to trade a particular forex pair depends on a number of factors. The first is when the particular currency is available in the markets. The second factor is when the markets overlap each other. Finally, your time zone also comes into consideration. For a more detailed guide about when to trade forex or binary option, read the # 1 Guide to Choosing the Perfect Trading Hours on IQ Option. With that said, let’s learn how to use the forex trading hours tool. Start by selecting your time zone in the drop down menu below. Next click on Go. The tool will automatically adjust to show what time the markets for each of the 9 currency pairs is open relative to your time zone. Your objective is to identify when your preferred currency pairs overlap. For example, if you prefer trading the GBP/USD currency pairs, you should look at the hours when both the London session and the New York session overlap. During this time, both GBP and USD are traded in high volume. This offers you to see the best opportunities for trading. This tool is specially designed for trades of the IQ Option platform, And we use it ourselves as well. FREE IQ Option demo account.